TOM’s spidey senses are tingling. Check out Toonami’s review on the Spider-Man video game! This week, Jason and Gill discuss Fullmetal Alchemist and chose their favorite brothers movie. Then, check out the new "Split" music video by Society of Numbers, and listen to the newest Adult Swim Singles track called "City of Tears" by Dark0! TOM’s on a mission to find out what the hell’s going on. TOM’s hoping his plan goes off without a hitch. Can TOM and SARA beat the clock? TOM finds himself on the radioactive planet, Shogo 162. Can he survive the oncoming storm? With the storm still raging, TOM has an angry sand worm hot on his heels. SARA has to work quickly to get Tom back into the base. Locked, loaded, and ready for action, TOM heads deeper into the station to find the source of the breach alert. Shogo 162 is completely falling apart! TOM and the newly upgraded SARA work toward getting off the dying planet. Watch the first epic episode of Intruder II. This is just the beginning. Intruder II comes to an epic conclusion that will change the future of TOM and Sara forever. You have what it takes inside you. Make it happen. Coming 2016. ONLY On Toonami. Unbreakable. Unbeatable. Suit up every Saturday, 12 – 3:30A ET. TOM is running those jewels. Gear up for fall with the latest Toonami and RTJ swag from Daylight Curfew! Toonami’s got 7 hours of non-stop action ready for you this Saturday night from 9p – 4a! Every Saturday night at 11, Toonami drops the finest action cartoons on the planet. Be there! No matter what you pursue, there's one rule to follow. Pistol Dave’s a real piece of work. Don’t miss the new video “Pistol Dave” by Epic Beard Men. Every Saturday night at 11 adult swim is building you a better cartoon show, we call it Toonami! Explore the wildlands of Montana with your favorite robot. Check out Toonami’s game review on Far Cry 5! Step into Kratos’s shoes… again! Check out Toonami’s game review on God of War! Dive to the depths of the dungeon with Toonami’s newest game review for Moonlighter! TOM lurks underground to battle as a bug. Catch Toonami’s game review on Hollow Knight! Explore the vast world of ancient Greece with TOM and SARA in Toonami’s new game review for Assassin’s Creed Odyssey! Ride through the wild west with Toonami’s game review of Red Dead Redemption 2! Take the fight to never-ending levels. TOM brawls it out on Toonami’s game review for Super Smash Bros. Ultimate! In a nightmare world inspired by HP Lovecraft, it’s TOM and his sword against the horde. Check out our latest review, Sundered The Eldritch Edition for the XBOX. Trapped on a mysterious planet, the Vesta One Command Crew must battle isolation and hidden threats. Toonami’s serving up an action packed line-up, featuring the premiere of FLCL: Progressive! Got an appetite for action? Toonami’s serving up a new line-up, featuring FLCL at 11:30p and Pop Team Epic at midnight! If you needed a sign to get going, here it is. Check out Toonami’s words of wisdom about growth! Go with the flow… the ferromagnetic flow. Check out Toonami’s newest music video! Toonami’s ready to serve up the action! Whet your appetite with our lineup for next Saturday night, all happening from 10:30p – 4a! Don’t miss out on all the action this Saturday night from 10p – 4:30a! Next weekend is already looking good! Toonami serving up all the action next Saturday night at 10p to 4a! With heroes like these, evil doesn't stand a chance! Toonami’s newest lineup is ready to knock you out, with the premiere of Megalobox at midnight! 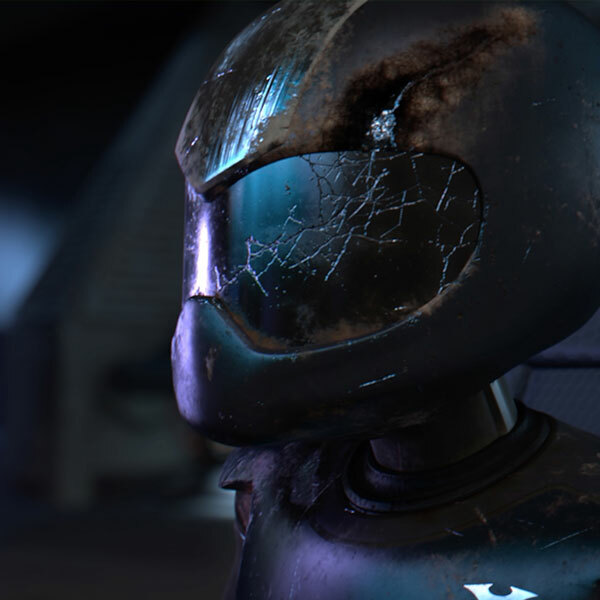 Toonami is proud to announce that our next Total Immersion Event, “The Forge”, will be coming to a Toonami near you in Fall of 2019! It’s still too early to show you the full CG of TOM, SARA and the gang, but here’s a little 2D teaser we had artist Shane Dering whip up to tide you over. Enjoy! TM & © Turner Broadcasting System, Inc. A WarnerMedia Company. All Rights Reserved. turner AdultSwim.com is part of Turner Entertainment Digital which is part of the Turner Sports & Entertainment Digital Network.